Can Computer Programmers still obtain H-1b Visas? In a memo released last week, United States immigration officials moved to clarify the process for vetting H-1B visas for computer programmers. US Citizenship and Immigration Services memo posted online advises immigration officials to no longer follow an “obsolete” memo from 2000, which provided guidance on how to vet requests for H-1B visas, a type of visa for high-skilled workers that’s popular in the tech industry. According to information and cases shared by AILA members, for at least the past several years USCIS has not taken the approach that a “Computer Programmer” is a slam-dunk H-1B. The new I-129 Fee is $460, effective 12 a.m. Eastern U.S. time, December 23, 2016. Fees should be submitted in a separate check or money order Signed into law Dec. 18, 2015, and is valid until Sept. 30, 2025. The fee is applicable for petitions filed on or after Dec. 18, 2015. The beneficiary(ies) are not permitted to pay any H-2B filing or Fraud Prevention and Detection fee with an H-2B petition. USCIS regulations and U.S. Department of Labor guidelines prohibit H-2B beneficiaries from paying such fees. INA 214(c)(13); 8 CFR 214.2(h)(6)(i)(B)-(D); U.S. Department of Labor Wage and Hour Division Field Assistance Bulletin No. 2009-2 (Aug. 21, 2009). On Wednesday, April 1, 2017, the U.S. Citizenship and Immigration Services (USCIS) will begin accepting H1B cap-subject case filings for fiscal year 2018 (FY18). April 1st may seem a long time from today, but employers and potential H1B candidates should be preparing now. The Fleischer Law Firm is already accepting H1B cap-subject cases for FY18. Contact us today with your candidates and questions. The H1B visa classification permits a foreign national to work in the United States for a temporary period. It is available for offers of employment that are in a specialty occupation which is generally a job that requires a Bachelor’s degree of higher. A person may hold H1B status for a maximum of six years, and it may be issued in increments of up to three years by the USCIS. An employee may receive extensions of H1B status beyond six years in certain circumstances, if s/he is in the process of applying for employment-based permanent residence (commonly referred to as the “green card”). 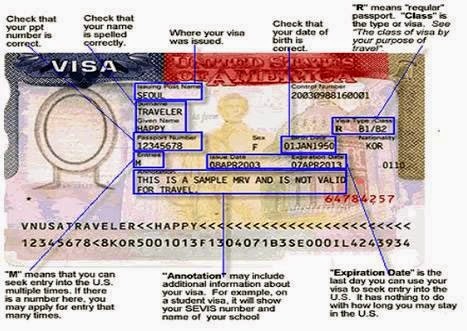 H1B visas are numerically limited, with a total of 85,000 visas available each fiscal year (20,000 of these visas are restricted to individuals who have received master’s degrees or higher from U.S colleges or universities). This limitation is called the H1B cap. What is the H-1b Cap ? Each year, H1B cap-subject cases can be filed beginning on April 1,. Under USCIS regulations, the minimum filing period for H1B cap cases is five business days. If there are still cap numbers available at the end of the first five days, the cap remains open until filled. If there are enough cases to meet or exceed the cap in the first five days, the cap closes. In that event, the USCIS stops accepting new H1B cap filings, and a lottery is conducted from the cases filed during that first week to randomly select the cases that the USCIS will adjudicate. The remaining cases are then returned without being processed. Last year, The USCIS received over 233,000 H-1b filings . Thus, a lottery was needed to select from the cases filed during the minimum required filing period. Analysts believe the cap will be met the first week again this year. The Time to Prepare is NOW The Fleischer Law Firm begins to accept cap-subject H1B cases months prior to April 1st each year. While these petitions cannot be filed with the USCIS until then, initiating the process early provides a number of potential advantages. First of all, the attorney working on the case will have time to fully identify and consider all documents needed from either the employer and/or foreign national candidate. Planning for Employers Employers should begin considering and vetting which of their employees may need H1B cap-subject filings. Most commonly, these are students on F-1 optional practical training (OPT). Other typical examples include L-2 employees working on employment authorization documents (EADs), who may wish to hold a status that is not dependent upon their spouses. Further, there is always a ripe crop of H-4 spouses who are looking to obtain an H-1b in order to work. Employers should anticipate their clients needs for FY16 and call our Firm now. Planning for Foreign Nationals/ Employees While many employers proactively identify their needs for H1B filings, foreign national workers still should approach their employers, generally through the Human Resources Department or managers. It is also important to update your resumes, make sure you have foreign degree evaluations, and have all your previous immigration paperwork like I-94s, I-20s and passports. This can be particularly important if one’s employer is unfamiliar with H1B filings and may need to seek appropriate legal guidance in order to make an informed decision. 2. Make sure each form has an original signature, preferably in black ink. 3. Include a signed check or money order with the correct fee amount. 4. Submit all required documentation and evidence with the petition at the time of filing to ensure timely processing. 5. You must submit a certified Department of Labor LCA (Form ETA 9035) at the time you file your petition. A copy of the LCA is acceptable. A copy of the beneficiary’s final transcript; or * A letter from the registrar confirming that all of the degree requirements have been met. If the educational institution does not have a registrar, then such a letter must be signed by the person in charge of educational records where the degree will be awarded. 7. If the beneficiary will be applying for a nonimmigrant visa abroad, you must submit a copy of your H-1B petition and any subsequent response to a Request for Evidence or Notice of Intent to Deny with your filing. USCIS will not make a copy if you do not provide one. 8. You must file your petition with the correct service center depending on the H-1B beneficiary’s work location(s) as specified in the petition. ALEXANDRIA, VA. – U.S. Citizenship and Immigration Services assisted with an investigation that has led to Raju Kosuri, 44, and Smriti Jharia, 45, a married couple from Ashburn, pleading guilty today to charges of conspiracy to defraud the United States and visa fraud, among other charges. Kosuri and Jharia were indicted on April 27. According to the statement of facts filed with the plea agreement, Kosuri, Jharia, and their co-conspirators fraudulently applied for more than 900 illegal immigration benefits under the H-1B visa program. Since 2008, and at a much greater scale since 2011, Kosuri has built a staffing business that amounts to a visa-for-sale system, which violates federal law. Kosuri and Jharia also admitted to defrauding the Small Business Administration in connection with a scheme to obtain HUBZone certification for a business named EcomNets Federal Solutions. Kosuri agreed to forfeit proceeds of his fraud schemes in the amount of $20,900,000. H-1b Lottery a done deal. Were you selected? Today, I received my first lottery chosen H-1b visa cap case receipt. This was a premium processing case. The lucky candidate’s name is ARUNKUMAR.